Specialty Orthopaedics, P.S.C. is comprised of three orthopaedic subspecialties that are committed to the delivery of quality diagnostic and surgical care. Kentuckiana Hand Surgery specializes in surgery of the hand and upper extremity. Pediatric Orthopaedics delivers quality and caring orthopaedic treatment to children of all ages. Kentuckiana Foot & Ankle Sports Medicine specializes in foot and ankle ailments with emphasis on athletic conditions and early return to function. We are dedicated to giving our patients the best possible care in an honest, compassionate and considerate manner. 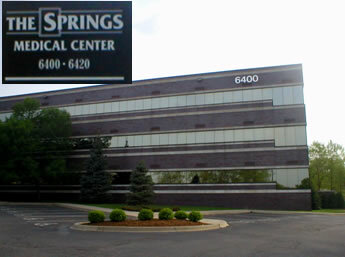 The physicians and support staff welcome you to www.specialtyorthopaedicspsc.com. We appreciate the opportunity to provide you with medical services. The information that follows is designed to answer the questions that most patients have regarding our policies and methods of practice. We want to be of service to you, so please feel free to ask us for information that you may need.